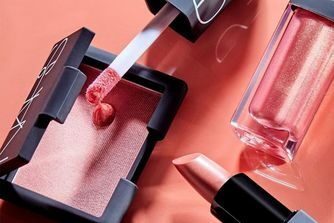 A brand that needs no introduction, NARS is a definitive cult classic, remaining at the forefront of the beauty world and quickly gaining a permanent place in the hearts (and make up bags!) of all who try it. A standout star of the brand’s coveted complexion products, this foundation grants sheer yet buildable coverage and a glowing, luminous finish. Perfect for normal and dry skin types, it evens out tone immaculately and – used daily over time – it improves skin’s brightness and texture. Ask any beauty buff to name their most coveted complexion products and, chances are, NARS will be high up on the list – especially when it comes to the beloved Sheer Glow Foundation. A glowing, naturally radiant-finish foundation, the formula grants sheer yet buildable coverage that evens out skin tone immaculately. Perfect for normal and dry skin types, the formula is replete with skin care benefits – from the NARS Complexion Brightening Formula which hydrates skin, to powerful antioxidants that protect against free radical damage and turmeric extract to improve skin’s radiance and tone. In the full spectrum of 40 versatile shades, this foundation grants a subtly luminous finish that’s great for dryer skin types but also not too dewy for those with oilier complexions – it’s the go-to product for a transparent, weightless finish with the versatility to be built up. Sheer Glow Foundation creates a luminous, satin-like texture to the skin. Although the foundation can be built up for more coverage, this is the go-to product for a transparent, weightless foundation with sheer to medium coverage. The foundations give their coverage by pigment, not weight of product, so less is more. Always warm up foundation in the hands and apply with the finger — this creates the most natural-looking finish. Start in the centre of the face (where we typically need more coverage) and work out toward the edge of the face. Sheer Glow Foundation is also a great clean-up tool: use it with a concealer brush under the eyes and around the lips to make sure lines are crisp and picture-perfect. I had very high hopes when I purchased because of so many positive reviews of this foundation. I have dry skin, this foundation is very matte, hence it is little too dry for me. AND, it doesn’t last on my skin! I have to set it with tons of powder otherwise, it will start to crease. Well, it is a good foundation but definitely won’t repurchase. I was using Clinique before this, infrequently, but halfway through the day dry patches were accentuated. Could also be that the make up was really old? But I find that Clinique doesn't work as well for me as it did a few years ago. Switched to Clarins for skincare (their products are incredible; they do what they say), and after a lot of research and trials (Estee Lauder, Bobbi Brown, and M.A.C) I decided on NARS for my foundation and concealer. It took me a few tries to get it right. I use just the tiniest amount on primed, moisturized skin, and my skin stays touchable-y soft throughout the day. No breakouts, or bumps so far, and it's been a month or so since I started using it. Use it a few times a week. One of my favourite foundations. One of my fav foundation. Very good coverage. I’ve struggled in the past with finding a foundation that matched my skin tone and also didn’t feel too heavy and thick on my skin! That is until I decided to try the sheer glow foundation and I love it!! Isn’t heavy on my skin even when I build up the coverage and the colour match is really good especially since I’m so pale with neutral/pink undertones & doesn’t separate on my face either. No.1 foundation for me!! This foundation sat in my pores, really noticeably. Tried with and without different primers, no difference. The shades are excellent but the formulation is not. It didn’t last more than 2 hours before breaking up and made my face even more oily than it normally is. To top it off, the top of the glass bottle sheared off when putting the lid back on so won’t be repurchasing. A little goes a long....works efficient with a primer...stays all day.good for dry skin buildable. The biggest flaw is "no pump" .its difficult to know how much you are applying. So I've been looking for an everyday foundation for my combination skin type as long as I can remember and I have always had a hard time finding something for my picky taste,but O.M.G! I can literally tell that this is by far my favourite foundation.The shade it fits perfectly (Mont Blanc) and the texture is just amazing.It blends seamlessly with both, brush and sponge, it feels weightless,has a very natural finish,skin-like,has a light to medium coverage but buildable without looking or feeling heavy and doesn't budge if settled properly.I really really love this product and recommend to everyone especially for mature skin as it doesn't emphasize wrinkles. On my second bottle. I have combination skin with dry patches on my cheeks and this foundation works great for me. Medium to full coverage. Try to apply with fingers and you won't regret it. This is my new fave foundation. It looks like skin but still gives medium buildable coverage. The finish is luminous but not dewy. Love this foundation. You only need 1 pump for your whole face. It actually looks better the longer you wear it. It looks sort of matte when you apply it but the more you leave it on the more glowy it gets. So pleased that my fav beauty shop now stocks my current foundation obsession. Sheer Glow is a must-have. Doesn't sit in fine lines like the countless other foundations I've owned. Has an excellent level of buildable coverage for day or night, that has never caked on me. Gives my dry'ish skin a lovely luminous look, (I use with BECCA Backlight Priming Filter). It's such an upgrade from Double Wear and IMO better than anything Tilbury, Tarte or Clinique makes. Was easy to match and goes on lovely with a blender. I add a drop of Estee Lauder's Advanced Night Repair to sheer it out a bit in the summer and give an extra glow. 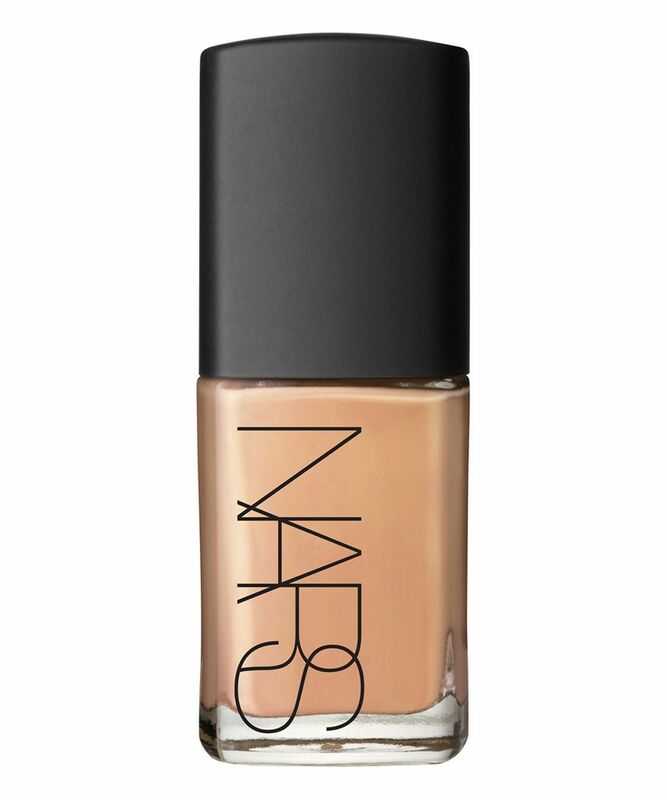 The Nars Sheer Glow has been a favourite of mine for years. It’s got great coverage (I’d say medium to full), a gorgeous finish (not dewy, but beautifully luminous, lit from within), incredible stay power (I’ve worn it desk to dusk with no issue). It does need to be powdered in the t-zone. I recommend applying with a damp beauty sponge, as applying with fingers brings messy results. Absolutely no glow. It looks like flour on my skin, and cakey. I have normal skin. It's light weight and beautiful, looks like second skin when you first apply it. But it doesn't seem to be long lasting and it clings on dry patches. It doesn't work with every primer. I used it for 2 weeks already and I'm still trying to find the best way to use it. I will use it until it ends but I wont buy it again. Too much hassle! This is my all-time favourite foundation. It's so lightweight but it gives such good coverage and is really buildable. It blends like a dream and lasts all day! I usually have combination skin with dry patches on my cheeks and forehead, but lately my skin has been super extra dry and I’ve tried so many different foundations but the NARS sheer glow works like magic! I also have medium large pores but this foundation covers it all up with a great medium to full coverage. Absolutely in love! Make my face feel like I'm wearing a mask. Builds beautifully! Whether you want a no make up look or a heavy glam look, this foundation can do both! Stays on all day with a little bit of powder and looks very natural and not cakey. Love it. Always been unhappy with any foundation I’ve had before I found the Nars sheer glow. Completely weightless on your skin. Leaves my skin flawless. Light but medium coverage so also covers blemishes. Love!!! I've been searching for an everyday lightweight skin-like foundation. I love this thing. I usually have a very hard time finding a shade in foundation because they either oxidize too orange/dark or they're too yellow/ too pink. That being said, I tried a Gobi sample a while ago and was amazed that it blended almost seamlessly with my neckline so I decided to buy the full bottle and what a good choice this was! My skin type is oily/combination sensitive with dry tendencies during winter, dealt with acne in the past. This is based on my personal experience: Pros: - buildable - does not oxidize - matte-satin-y finish , gets more dewy during weartime - skin-like finish - does not break me out Cons: - does not come with a pump and I forgot about it, but there's always a next order :) - if you're more on the oily side you'll want to set this with a good powder Overall I am very happy with this purchase, this is my daily HG foundation and I'll definitely repurchase! I was always on-off with using Sheer Glow but it speaks to the product if I've been using it for the past 4 years. 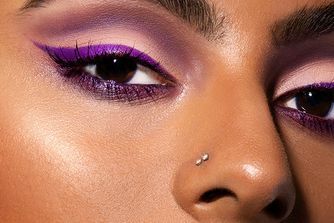 The finish is roughly medium, and buildable to full, with a satin finish that's moderately glowy and good staying power. It does need to be powdered and I usually apply it with a beauty blender, which gives a flawless finish. It's a staple in my makeup collection and I return to it whenever I'm unsure what I feel like using that day. Девчонки, этот тональный-лучший,что я пробовала. У меня экстремально сухая кожа и так же очень светлая. Оттенок Siberia идеально сливается с моей кожей. НЕ подчеркивает шелушения, и даже наоборот, увлажняет кожу. Заявленный глоу эффект очень выразительный! Выглядит как своя кожа, только лучше. Очень рекомендую! *** This is the best foundation I've tried. I have extremely dry skin and also very light. Siberia hue blends perfectly and moisturises the skin. The claimed glow effect is very impressive! Looks like your skin, only better. Highly recommend! I’ve been using this foundation since it was released. At the time at 19, I found it pricey. But in all honesty, it’s worth every penny. At a time when there was literally no other company to cater for dark skin apart from MAC I had no choice but to try. Never looked back since. I have tried other foundations but always come back to this. It’s great for daytime (use less) or mix with my moisturiser, and for nighttime (build up coverage). Amazing! This is the bee's knees. It doesn’t matter how little sleep I’ve had (mama to two little terrors) I always get told my skin looks great/radiant - that’s with 10 years of adult acne scars to cover up too. It just blues away any imperfections, is incredibly light so doesn’t look like you’re wearing anything, doesn’t block pores or cause breakouts. It lasts all day even on my oily skin and is my secret weapon to looking put together. As it’s so light it takes seconds to apply and you can’t apply it badly, it just melts in.It also photographs beautifully. I cannot rave about this enough! I have used a lot of foundations over the year, desperate to find that perfect one. From Charlotte Tilbury Magic Foundation to Fenty Beauty, the struggle has been real. But over a year ago I stumbled across this foundation and have honestly not looked back. I've repurchased this foundation approximately four times, this being my fifth and not regretted it once. It's long lasting, has a dewy finish and despite rumours is perfect for oily and combination skin, I wear this in retail work 10-hour shifts and it does not budge. I love this foundation to the earth and back, and could cry with joy seeing I can now just order it here! Wow, this was a long winded review basically I love it 10/10 would recommend to all my friends and family.